Our garage door parts can collect dirt, grime, and rust over time. They are exposed to the elements, and even the best quality hinges will stop working properly if with enough buildup on them. 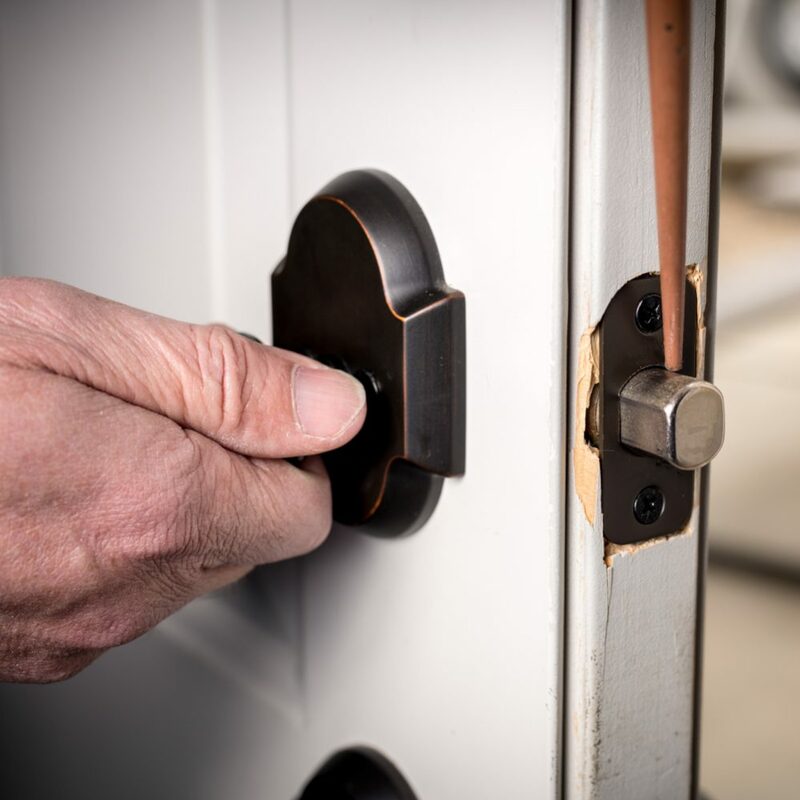 A garage is useless if the door won’t open – and replacing or repairing those doors can be incredibly expensive, not to mention a huge headache. For that reason, it is important to maintain your garage door using a garage door lubricant. In spray, gel or oil form, lubricants can protect the moving metal parts on your garage door. They will prevent corrosion and rust, resist dirt and grime, and even reduce that annoying squeak or rattle older garage doors can make. You may be surprised to learn there are multiple garage door lubricants out there, and it can actually be tougher than you might think to choose the best one. To help you out, we have compiled a list of the six top garage door lubricants on the market right now. This guide will tell you all about each of them, the advantages and disadvantages of each product, and how to pick the best one for you. (Our Top Recommended) WD-40 Specialist White Lithium Grease Spray: a professional quality lubricant spray, weather-resistant and designed for metal surfaces. Genie Screw Drive Lube: a gel lubricant that provides a long-lasting coating on garage door parts. Great for silencing your garage door. WD-40 Specialist Water Resistant Silicone Lubricant: water-resistant spray lubricant to protect your garage door from the elements. DuPont Teflon Non-Stick Dry-Film Lubricant: a high-quality lubricant spray safe for use on nearly any surface. 3-In-One Garage Door Lube: specifically designed for garage doors and works great with regular application. Blaster Chemical Company 9.3 Oz Garage Dr Lube: a high-quality, budget option designed for use on garage doors. Helps to reduce noise. All 6 of these products are superior garage door lubricants, but some come with additional benefits or drawbacks compared to others. At the bottom of this article, we have included a helpful buyer’s guide to assist you in deciding which one will work best for your needs. Read on to learn more about each of these products in detail. We’re starting this list off with a classic, top-quality lubricant spray from a world-renowned brand. This white lithium grease spray is one of the best on the market for preventing grime and rust buildup on any metal surface. There is a reason the name “WD-40” is associated with oils and lubricants – they are one of the best producers of lubricant sprays on the market, and have been putting out high-quality products for over 65 years. The Specialist product line, which this spray is a part of, are adapted to specific needs and designed for professional use. The white lithium grease spray is specifically designed for areas where two or more metal surfaces make contact, making it perfect for hinges. It sprays on as a liquid and dries as a thick protective layer, able to withstand any weather conditions. It also utilizes a special corrosion inhibitor chemical to prevent rust build up on any surface, indoor or outdoor. One of the best features of this product is that it will last for up to two years on a given surface. You can give your garage door a good spray and not have to worry about it again for a very long time. One potential downside is that the nozzle is made from a slightly cheaper material – which keeps the cost down but also makes it hard to get a precise spray. However, for use on garage doors or other big hinges, precision is too much of a demanding factor. This lubricant is designed specifically for garage doors. It is intended to preserve your door hinges and opener, as well as to reduce noise when opening and closing the door. The Genie screw drive lube is a little different from other products on our list, as it comes in a gel tube form, rather than as a spray. You get three little tubes of gel lubricant with each purchase, which is plenty to last a year or longer for use on your garage doors. Application of this lubricant is simple: simply apply a little to the garage door part you would like to lubricate and rub it in. You do have to get your hands a little grimy with this one – but you only have to do it twice a year, maximum. With a generous coating, it will help to silence your garage door opener. Get rid of that annoying whine and rattle and save yourself from having to replace your garage door in the long run. The Genie screw drive lubricant is recommended for use with Genie brand garage door openers, but it will work just as well on any other door. One area where it does not perform, as well as others, is in weather-resistance – this lube will not hold up as well in cold weather as other products. If you live in an area that regularly sees temperatures below freezing, we would not recommend it. For anyone else, though, this is definitely a top-quality garage lubricant that will not let you down. Another specialist sprays from WD-40, this water-resistant lubricant is great for use in rainy areas, and comes with a specially designed applicator for precision or fan spraying. This WD-40 spray is one of the more popular options out there, and for good reason. It is specifically designed to be water-resistant, making it ideal for rainy areas. Though it may not be equipped to handle such extreme temperature conditions as the other WD-40 lubricant on this list, it will hold up in most weather conditions and provide long-lasting protection to your garage door. The versatility of this spray is its major benefit. It can be used on almost any kind of surface; not just metal, but plastic, rubber, and vinyl as well, so you can use it on your cables, pulleys, windows or nearly anything else that needs greasing. Adding to that versatility is the smart straw design that allows you to choose between a precise, narrow spray or a wider fan spray, depending on the kind of surface you are applying it to. Again, we can’t overemphasize the general quality of WD-40 as a lubricant brand. They make a number of specialized products for various uses, that always perform great, and they never come with a price tag that will break the bank. However, as with other WD-40 sprays, the nozzle on this spray bottle is made of cheaper material. It is more likely to break or wear down than some other brands. For the quality you are getting at such a low price, though, we think accepting a little cheap design is absolutely worth it. This DuPont spray lubricant is super tough and resistant to insane temperature conditions. It comes at a value price and needs to be reapplied so rarely, a single bottle will last you years of use on your garage door. The DuPont Teflon spray, unlike the WD-40 sprays, comes in a large, 14-ounce bottle with a fan-spray nozzle much like an aerosol can of hairspray or other substances. It coats surfaces in a clean, dry-film resin that is dirt resistant and will fight against rust and corrosion for months at a time. It is specially designed for use on metal-on-metal surfaces like garage door hinges or gears, but this lubricating spray can be used on nearly any other surface. It is a great product for everyday household chores, beyond just maintaining your garage door. Not only that, but it is crazy – and we mean crazy – temperature resistant. The dry-film coating from this spray will hold true in temperatures well below freezing and well above burning. One downside to the Teflon spray is that it is very toxic, and should be kept far away from cooking utensils or other kitchen appliances. Because of its design, you also want to be extra sure to keep it away from other, safer sprays that look similar, to avoid any risk of mixing them up. That aside, this lubricant is wonderfully effective and comes at a jaw-droppingly low price. We would definitely recommend it for your garage doors or any other household needs – just keep it out of the kitchen. This is another WD-40 product, specifically designed for use on garage doors. It prevents sticking, grime buildup and corrosion with regular application on your garage doors, and works exactly as advertised. 3-In-One is an offshoot of the WD-40 brand, and so comes with the WD-40 quality. This lubricant is one of the few on this list designed just for garage doors, and it works great for its single purpose. 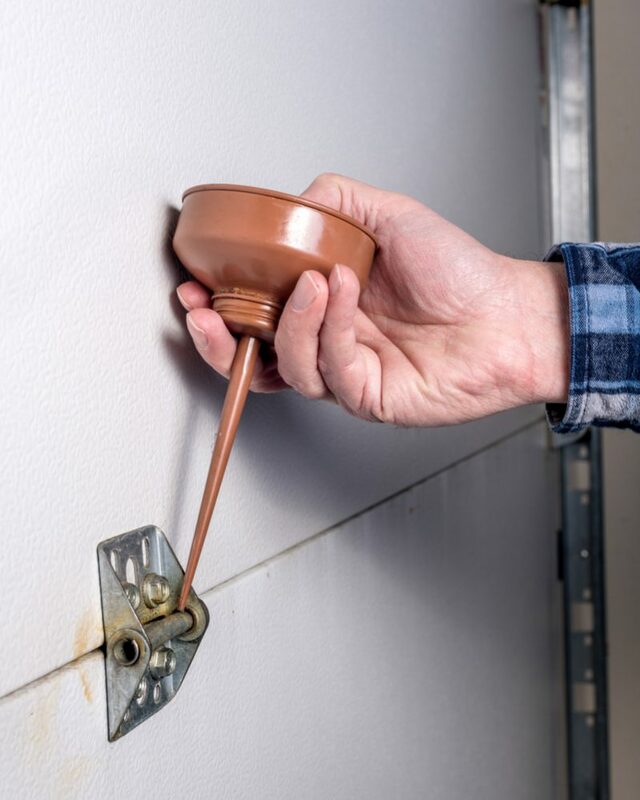 Applied every few months or so, this spray lubricant will form a dry, thin seal that prevents dust and dirt from building up on your garage door parts, as well as staving off rust and corrosion, helping your garage door operate better, quieter and for much longer. The design of this bottle is a little different from others and comes with two purposes. The extra long straw nozzle provides a precise spray in hard-to-reach spots, so you can get an even coating of lubricant even in areas your hand won’t fit. It also helps to reduce messes caused by over-shot or spilled lubricant, as you might get with wider spray nozzles. A minor setback of this lubricant compared to others is that it does require the more regular application. This isn’t a formula you can just spray on your garage door and then forget about for a year; you will want to use it regularly, at least every two or three months. However, the application does not take more than a few minutes of your time, and using it regularly really ensures a good, protective coating for your garage door. On the last spot on our list is the Blaster garage door lube. Another lubricant designed specifically for garage doors, this formula will help to reduce noise and fight the buildup of rust and dirt. It also comes at a great value price. This garage door lube from the Blaster Chemical Company is a professional quality product that comes at an extremely low cost for use in your home. 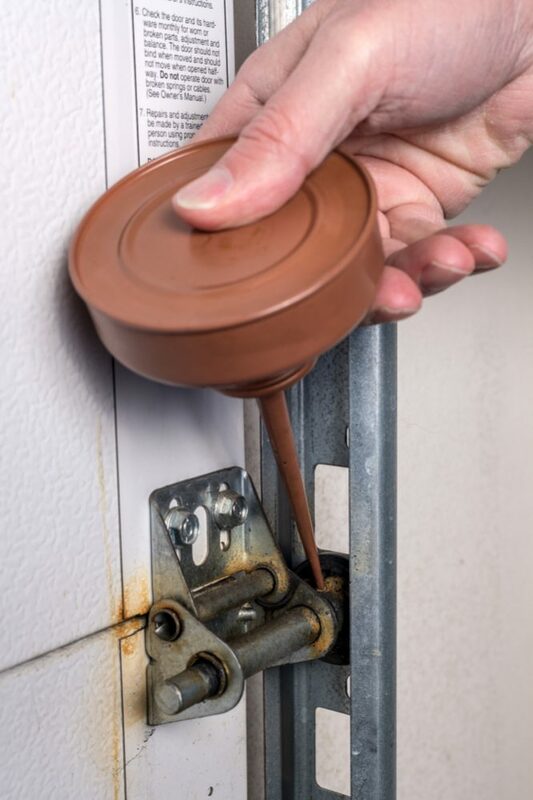 It is specifically designed for use on garage doors but will apply a quick-drying seal to prevent corrosion and dirt buildup on other surfaces, too. The bottle is smaller than some other options, but the formula is designed to last a long time, so you will not have to use it often enough to run out quickly. It comes with a hinged straw for spraying in harder-to-reach areas and is made from higher quality material than some other brands, so you can trust the bottle to hold together for as long as you are using it. One potential downside to this lubricating spray is its accuracy; it can be hard to get a precise spray on smaller surfaces, even with the hinged straw in use. Still, it is a great product for protecting and quieting your garage door, and as it comes at such a steal, there is no reason not to try it out. Now that you have seen some of the top garage door lubricant options, how can you pick the best one for you? This guide will walk you through some of the specifics of garage door lubricants, and what you should look out for when you’re shopping. A lot of the lubricants you will find out there come in oil form. Oil can be great for the moving parts of your garage door, helping it to operate quieter and more smoothly, as well as prolonging its life in the long run. But it is also messy – you are guaranteed to wind up with oil spots on your floor, and a mess on your hands after applying it. Oil also will not last as long as other lubricant methods. You will need to apply it regularly for it to be really effective in maintaining your garage doors. For that reason as well as the mess, we recommend a garage door lubricant in spray or gel form. Silicone grease is an awesome substance for moving metal parts. It prevents rust and dirt buildup and will help to reduce the noisiness of a garage door, and it lasts much, much longer than other oil or grease-based lubricants. Silicone grease lubricants are also super weather-resistant. These lubricants can withstand the largest temperature ranges, and they are generally waterproof. If you live in an area that sees a lot of snow or rain – or conversely, an area that sees extremely high summer temperatures, we would recommend a silicone grease lubricant for your garage door. Similar to silicone grease lubricants, white lithium grease is an extra effective substance for moving metal parts. Compared to the silicone option, a white lithium grease spray will not be as water-resistant but will stand up to a bigger temperature range, making it ideal for moving parts that could be subjected to extreme heat or extreme cold. There is really no need to hire a professional for the general maintenance of your garage door. Applying a lubricant properly and regularly will keep it operating as it should for years without professional repair. Most of the lubricants we have reviewed in this guide are fairly self-explanatory to use, so we will keep this section short and sweet. Basically, you want to read and follow the instructions on your product properly. Apply the lubricant as often as advised by the brand – or even more regularly, if you would like. There is no harm in overuse. When it comes to spray lubricants, make sure that you give a generous coating to all sides of the surface you are spraying to ensure full coverage. Sprays generally dry into a clear film, so it can be hard to see where you have already sprayed – just use a lot, and in a full range. You can always go back over a spot if you feel unsure. A spray bottle that comes with a long straw nozzle can be really beneficial to ensure that you have gotten the lubricant deep inside metal parts. As a final note, we do want to remind you to be safe with the use of your garage door lubricant. As mentioned earlier, some of these substances can be very toxic, and it is important not to leave the bottles anywhere where there is any risk of it being ingested. The spray itself won’t harm you, of course – you just don’t want to consume it. If you really want to be sure, there is no harm in wearing a painter’s mask or other covers over your nose and mouth while you are spraying. Don’t use your garage door lubricant on any kitchen appliances, unless the brand specifies that it is safe to do so. It is not worth the risk. A garage door lubricant is a necessity in any house with a garage. Without proper maintenance, your garage door can get squeaky and annoying. Dirt and dust build up on metal parts, as well as rust and corrosion, will wear them down and eventually damage the entire garage door. You do not want to have to pay for a garage door replacement or professional repair. Invest in a good garage door lubricant and apply it as regularly as necessary. 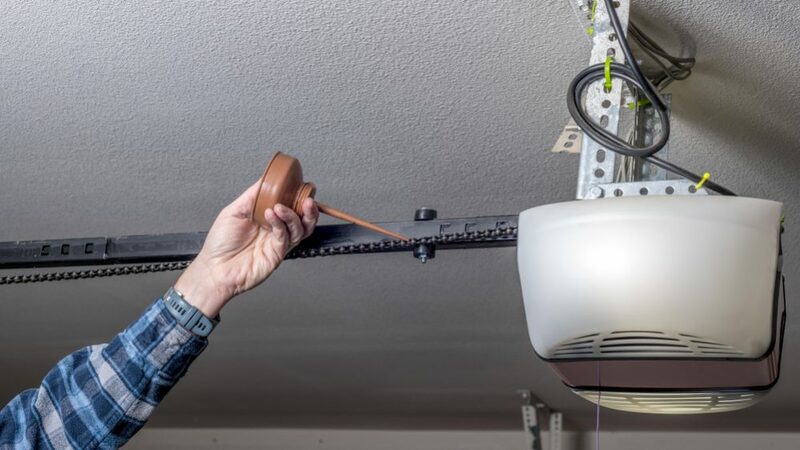 They are relatively cheap and safe to use – not to mention, they can help you out with a lot of other household tasks, beyond just preserving your garage door. Get rid of that annoying noise and save yourself the money and hassle of a garage door replacement. Now that you are informed, get out there and invest in the best garage door lubricant for you. We promise you won’t regret it.